LEWISTON, Idaho - Speer’s formula for success — determination, independence and self-reliance — has been constant, but upcoming innovations show the country’s most trusted law-enforcement ammo manufacturer isn’t resting on its laurels. In 2019, Speer customers will see a new, fresher, more aggressive logo that sets its products apart from others in a crowded field. “The logo has a streamlined look and feel, but it's also a strong, modern, technical look,” Speer President Jason Vanderbrink said. Another new step involves improved packaging for Speer ammunition and components. Speer customers will also benefit from the launch of direct-to-consumer sales on the Speer website; www.speer-ammo.com. 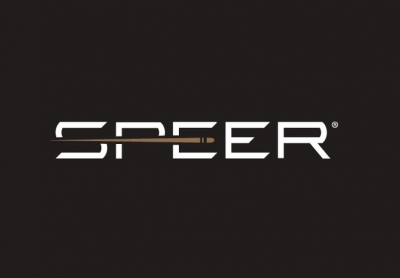 Although Speer remains proud of its reputation for quality and performance, the company has set the stage to bring on more. This year, Speer is celebrating more than 75 years of business. The iconic manufacturer’s reputation for making the world’s finest component bullets and loaded cartridges goes all the way back to 1943. Speer is proud of its longstanding success and looks forward to a bright future ahead. Speer will have their new logo and packaging samples on display in Booth No. 14551 at the 2019 SHOT Show, January 22-25 at the Sands Expo Center in Las Vegas, Nevada. For more information on Speer ammunition, visit www.speer-ammo.com.